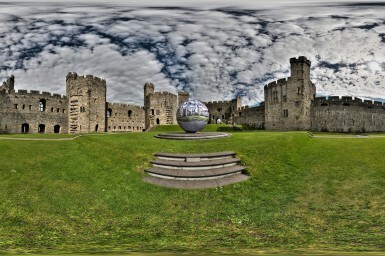 RELICS AT CAERNARFON CASTLE from janire najera on Vimeo. 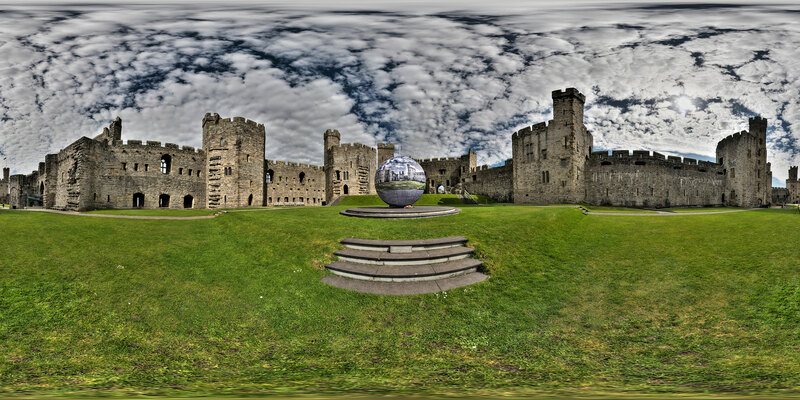 We have just returned from a very successful first installation of the largest photosphere in the project to date (and indeed history) at the absolutely stunning Caernarfon Castle. 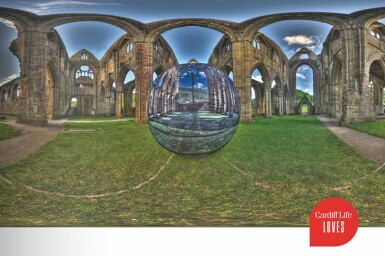 The Photosphere is 3.8m in diameter giving it an image surface area of over 51 square metres! Without a doubt the largest image I’ve ever printed and to my knowledge likely the largest photosphere in existence (or at least at this resolution!). Big thanks must go to Jay Jay Sports for their continued support through the development of the photospheres and in particular for they recent sponsorship of the Relics project which has made this sphere a possibility. The Sphere was up for 2 complete days and the public were captivated with both the detail and scale of the piece and many commented on how they felt it should be permanently installed at the site. 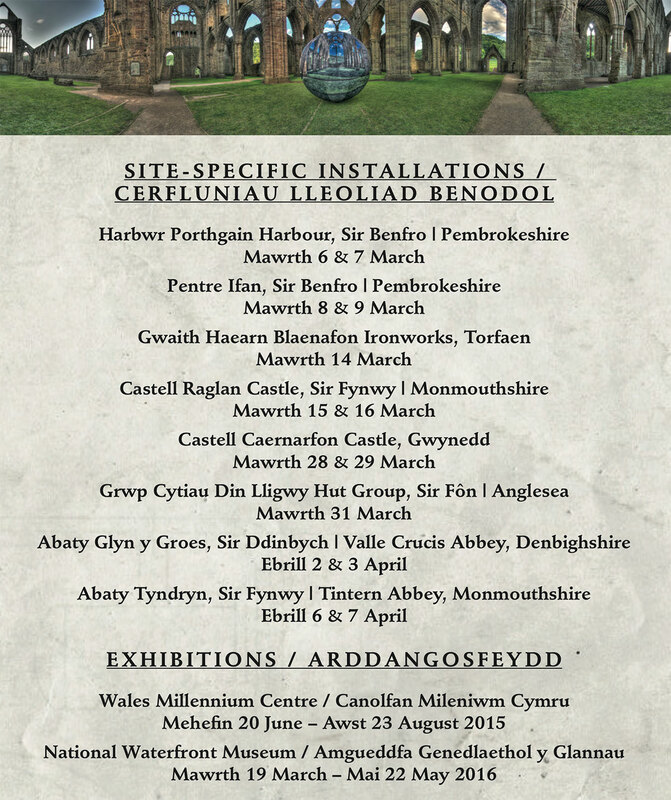 We couldn’t have had two better days weather wise and the staff at the site were incredibly helpful throughout so big thanks to the Cadw Staff at Caernarfon. Special thanks to Janire Najera and Menna Alwen Thomas for their support during this install. 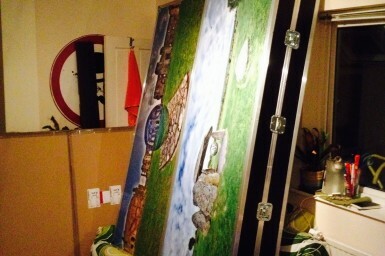 Stay posted to the site for images and timelapses from this installation as soon as I have a chance to render them up. Im excited to see them myself! 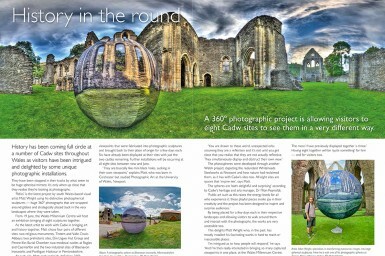 A small number of 360º spherical panoramas documenting the Photospherical Installation at Blaenavon Ironworks on the 11th of August 2014. Click & Drag to explore. Double click to enter Fullscreen. Esc to Exit..